PhotoMagiX design software lets you create templates using our intuitive wizard. Please download the software for your Windows machine here. 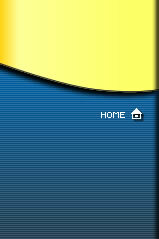 The FlipPix® design templates and instructions are now available! This general instruction document covers the FlipPix design and the Photoshop Action file used to create a FlipPix print production file. Right click the document title and choose Save As to download the PDF to your computer. Download this custom Action file for Photoshop to create FlipPix print files from within Photoshop. These are blank Photoshop PSD files used to create a new FlipPix project. These are sample Photoshop PSD files that can be used to test your Photoshop Actions or to see an example of Photoshop files. If you have any questions, please contact us at support@imcominc.com and we will be happy to assist you.